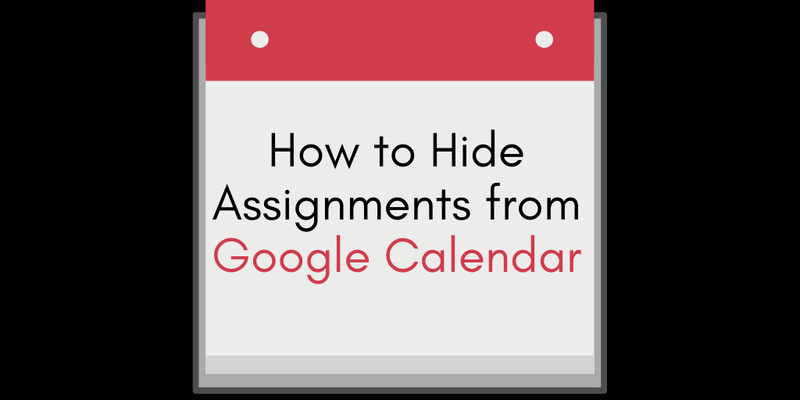 How to Hide Google Classroom Assignments from Your Personal Calendar – TC Net-Works, Inc.
Last week I received an email from a reader who needed a little problem with her personal Google Calendar. The problem was that every assignment that she posted in Google Classroom was also showing up on her Google Calendar. This isn’t a big deal if you only have one Google Classroom. However, if you teacher many sections of a course and have many Google Classrooms, your personal calendar could quickly be overrun with events and reminders. To remove Google Classroom assignments from your personal Google Calendar you need to log into your calendar then remove the check mark from the Classroom Calendars that appear under “my calendars.” Watch my short video to see how to do this. Learn more about Google Calendar and Google Classroom in my online course Getting Going With G Suite.